Ratan Tata’s dream car will bid farewell a decade after its unveiling in January 2008. Tata Nano will finally bid good bye in 2020. Reports reveal that Nano production will finally end by April 2020. Tata tried to keep the Nano in production for a long time, owing to the fact that it was Ratan Tata’s dream car. It was expected to appeal to the masses, due to its low price tag. 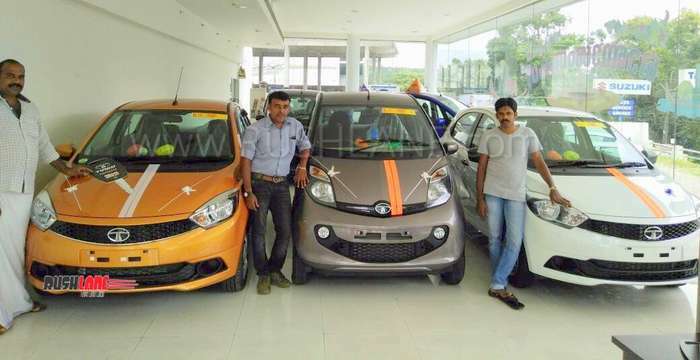 However, poor sales coupled with new safety regulations and the update to BS VI emission norms coming into effect, have reportedly made the company take a final decision to pull the Tata Nano out of production from April 2020. Monthly average sales of Nano are down to about 60 units. Tata Nano is produced from the company’s Sanand plant in Gujarat. It is currently produced on an order-to-order basis. This fiscal year, two new norms are coming into effect. One is to meet safety norms of Bharat NCAP, and to meet BS6 emission norms. Unfortunately, Tata Nano will not be meeting either of the norms. To meet these norms, huge investments will have to be made. Considering the low demand of the car, it does not make business sense to upgrade the car to meet upcoming safety and emission norms. Along with Nano, there are indications that some of the other existing products of Tata Motors will also be discontinued due to non compliance with BS VI norms. Once Nano is discontinued, Tiago will be Tata’s cheapest car. Sales of the Tata Nano have nosedived over the past few years. In the April to June 2017 period, a total of 872 units were sold, while in the same period of 2018, sales dipped to 65 units. 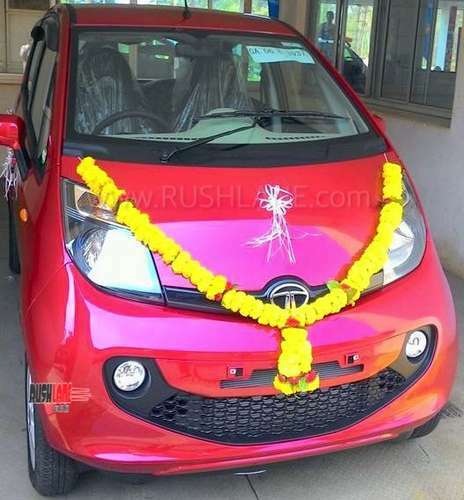 In June 2018 only 3 units of Tata Nano were sold while only 1 unit was produced. President of Passenger Vehicle Business Unit, Tata Motors, Mayank Pareek has stated that Tata Motors has been noting outstanding performance in the market over the past 36 months. But this is thanks to their cars like Tiago, Nexon and Tigor. From April to December 2018, the company grew by 22.4 percent while the industry grew by 4.4 percent. Tata Motors, which now caters to 60 percent of the car market, is expected to cover 90 percent of the market with launch of new products by 2021-22. Meanwhile, Tata Motors is betting big on the new Harrier. This new 5 seater SUV is expected to increase company’s market share even further. Harrier has set a new benchmark for the company with state of the art equipment levels and competitive pricing. Tata Harrier is built on the OMEGA ARC platform derived from the Land Rover D8 platform and comes in powered by a Kryotec 2.0 diesel engine offering 140 PS power and 350 Nm torque.